Is it possible to have too much gear? Too many gadgets? I do love new stuff, but when I am in my backpacker mindset, some stuff just gets left behind. 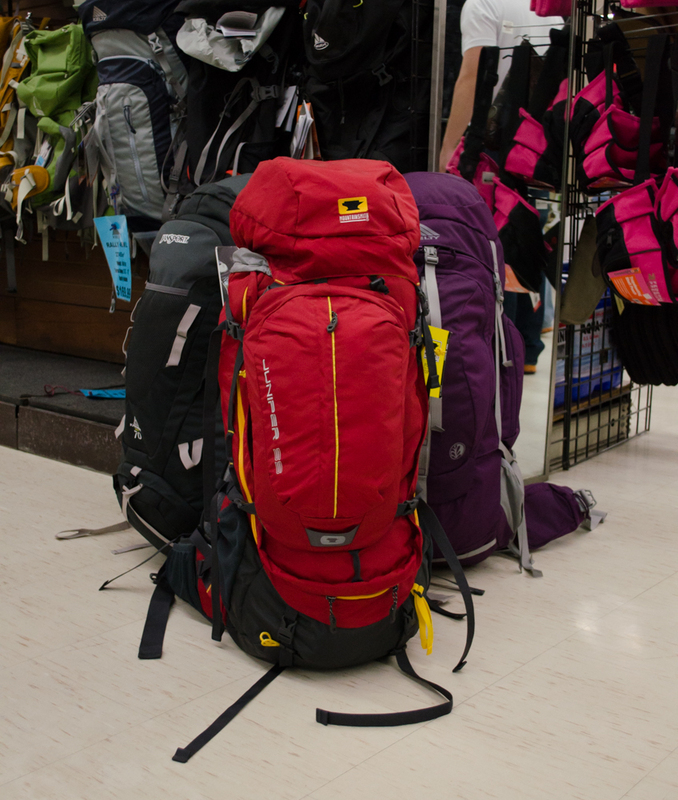 Most backpackers love convenience and comfort, but have to be choosy when it comes to weight. For years, having a pack under 40 pounds was my goal. As I am no longer 20, my goal has changed to the low 30’s for pack weight for a 4 day or so hike. 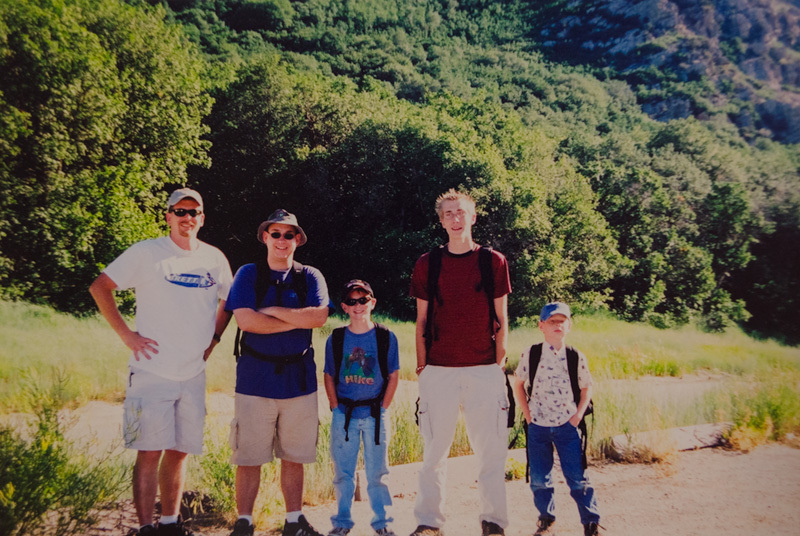 Since I have, through the years, carried a lot of weight to get my young children into the backcountry (they are all full grown now), I try to take advantage of the payback opportunity as much as possible. If I can’t convince one of my sons to carry it, I usually leave it home. The Solar-Rechargeable Luci Lantern – squishes down flat, diffuses light like a charm. You know, you really should have one of these in your pack. On this last Uinta backcountry adventure, I found an item that I just had to try out. 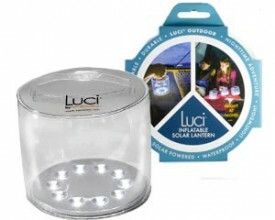 The Luci Inflatable Solar Lantern has been selling by the hundreds in my department. I honestly didn’t get how, but its success made me think that I was missing out. I bought one at the last minute (along with about $200 worth of last-minute necessities) and left the solar lantern on my dashboard to charge that afternoon. My pack was in that low 30# range, so I threw it in my pack. Two of the nights were cold, rainy, and early-in nights. Reading was a great escape to pass the time. 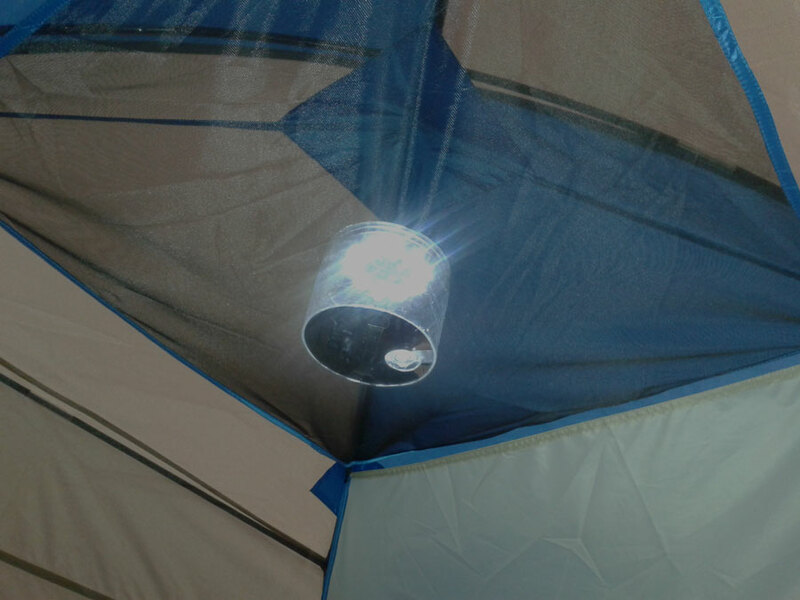 The LED lights were perfect in the tent and the inflatable feature diffused the light output to perfection. It was awesome. The Luci was light enough to perch in the gear loft and do its job. In the morning, I left it outside the tent and headed out to fish. The afternoon rains soaked it, but it still recharged without a problem and was ready for the next chapter of nighttime reading. The Luci promotes itself as an inflatable light – and the fact that its plastic lining diffuses light in the tent is a big plus. But the more important factor for me was that this item, nearly the size of your typical lantern, collapses down smaller than the book I packed – now that’s nifty. Waterproof, lightweight, rechargeable, and affordable. It’s worth a look. Get yours online at SmithandEdwards.com here or come see it here at the store off the I-15 Willard Bay turnoff. 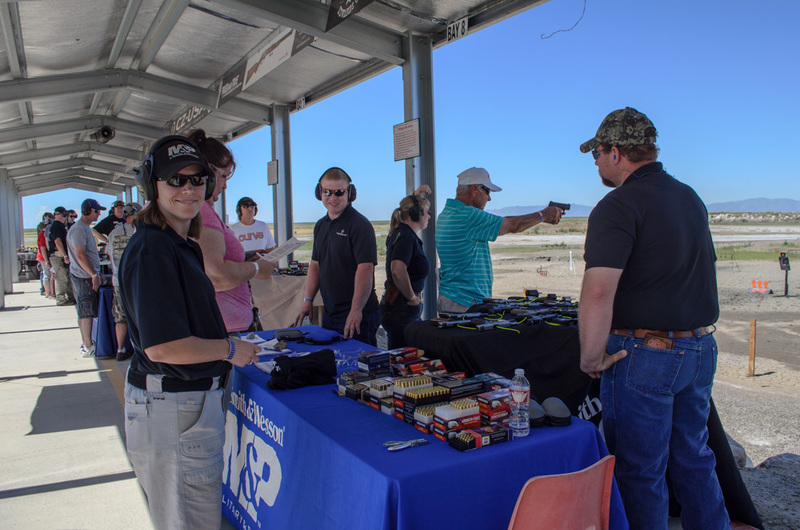 Thanks for coming to Range Day 2015! To all our friends in Weber County, Box Elder County, & beyond who came to Range Day 2015…. THANK YOU! 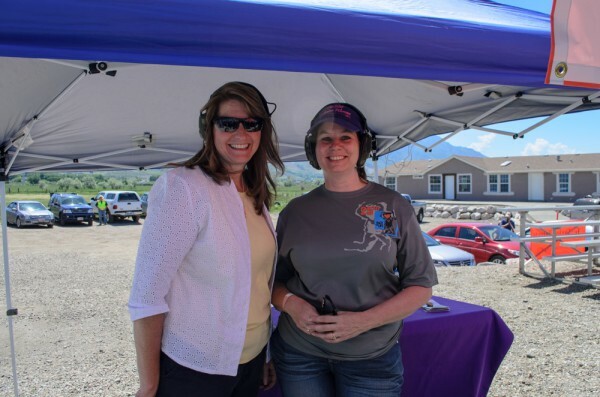 We are so glad to be here for you as you came and tried out a slew of guns. It was so great to see families here and we can’t wait for the next one! This little automatic BB revolver that our Umarex rep brought was a big favorite! Last year, we had a gun at each of the 20 lanes. Thanks to vendors stepping it up this year, we had easily 50+ guns to try out! 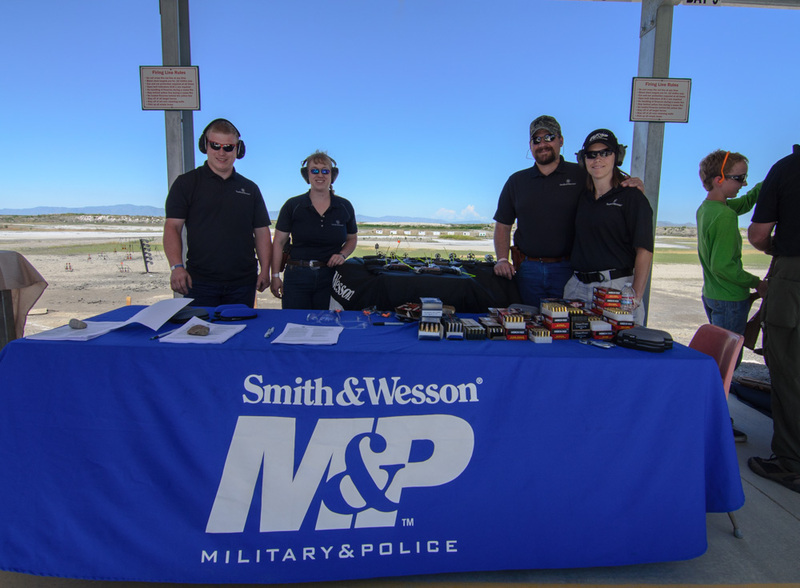 Smith & Wesson Reps and a whole ton of ammo at the Smith & Wesson booth! Do you do this every year? There are lots of options here! I wanted to try this gun out before I bought it. Hey, I saw you on YouTube! The Perry Range added a dueling tree this year, so the dueling tree was a fun challenge: 10 people won & received free ammo passes! Right on. This event definitely topped last year’s Range Day. We’ve really got to thank our AWESOME sponsors! Many more vendors showed their products this year, which not only meant that you got to try out more guns: you got more attention. Vendors got to explain specs, gun operation, and give you feedback. And, we the Smith & Edwards team were able to spend more time making sure the gun fit you, you had a good grip and stance, and that you felt confident operating the gun. 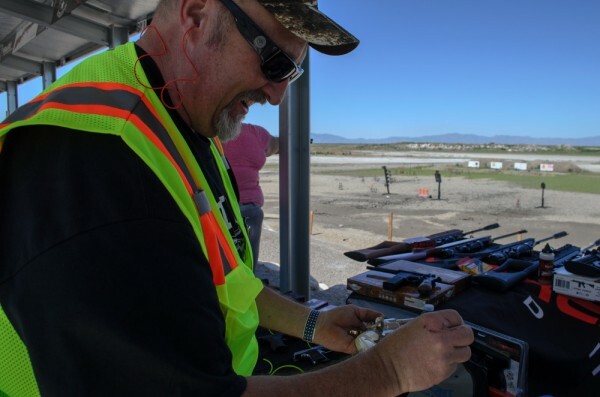 In addition to more vendors & many more options of guns to try out, this year we had more giveaways, and more parking! 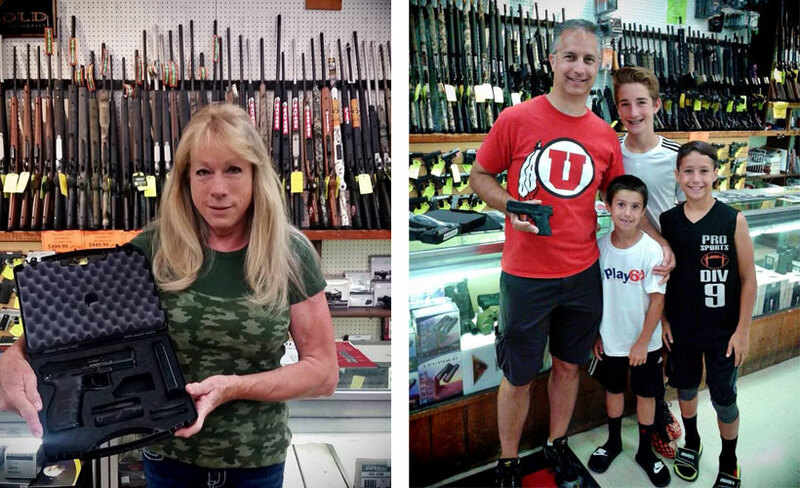 Faye and Matt took home a FREE gun each! Thanks to H&K and Springfield Armory for sponsoring these awesome giveaways. We also gave away BUCKETS of 22 ammo. Thanks again for coming and making Range Day 2015 a great event. Leave a comment & let me know if you think we should do it a 3rd year! We put these targets to use! Join our Email List to hear about all events like this! 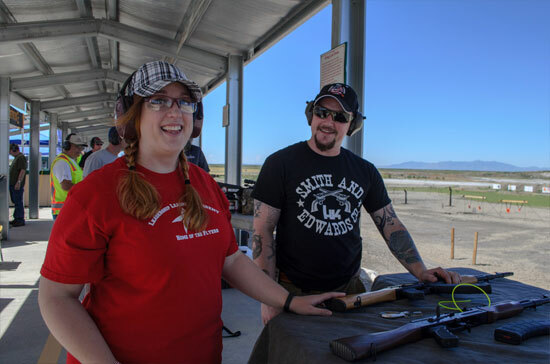 The only way to know when Smith & Edwards is up to something cool like Range Day is to join our email list! Well, if you’re a HUGE fan then come on over and like our Facebook page too, and subscribe to our YouTube channel. But only if you REALLY love us…. He had to develop his form. Grip and stance are the most important things to know about with any type of gun. Your grip keeps you safe and on-target. Your stance keeps you firmly planted and able to repeat a shot – and even move if necessary. Maybe you love target practice, or maybe you are interested in getting into shooting competitions. Maybe you’re interested in improving your accuracy for personal defense situations. Or – maybe you haven’t actually gone to the gun range yet! I made this video for you so that no matter your skill or experience level, you’ll feel confident and EXCITED to head to the range! 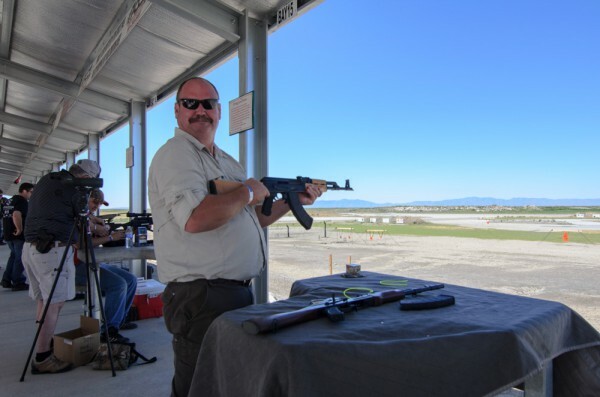 With these tips you can head to the range, even as a beginner, and have a great time! What do you want to know about marksmanship? Want more marksmanship tips? Leave a comment with what you want to see, and I can make a more advanced video to address more in-depth marksmanship tips, now that we’ve covered the basics. Enter to win a FREE Gun! Yep – you could win one of 2 FREE handguns that we’re giving away leading up to Range Day. Enter with your email address or Facebook account to enter to win! In addition to what I showed you about form, every shooter, new or experienced, should know the 4 rules of gun safety. Treat every gun as if it’s loaded. Guns require a heavy level of respect. Don’t make the news: always assume the gun is loaded. Before you clean your gun or hand it to someone to use, check there’s no ammunition. Eject the magazine, check the chamber visually and with your finger. Even when cleaning or handling a gun you know is empty, follow the following three rules. Never point a gun at anything you’re not willing to destroy. A gun always has to point at something. Make sure it’s a wall, a table, or the ground. 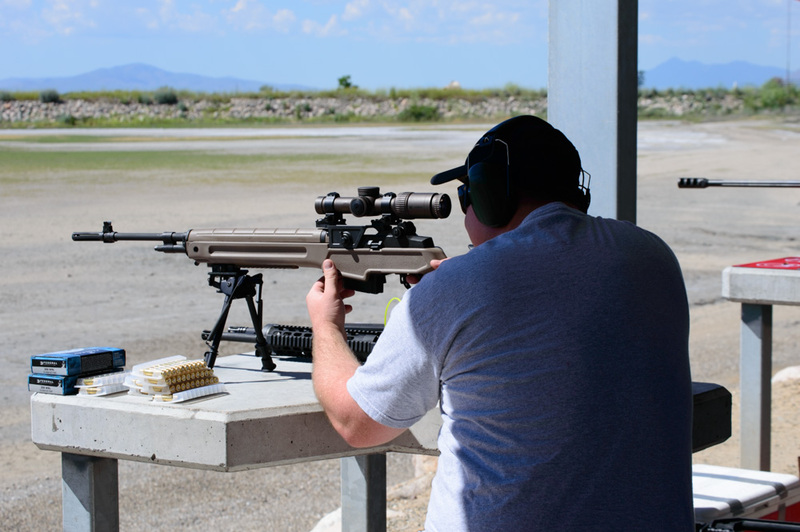 At the Range, it’s good practice to always keep the gun pointing down range, at the targets. Always know what your target is – and what’s BEYOND it. This is important for home defense more than at the range: if you fire your gun, what will the bullet hit behind your target? Keep your finger off the trigger until you are aimed at the target & ready to fire. In the movies you see good guys and bad guys running around with their finger on the trigger. In real life, that’s an easy way to get hurt in a hurry. It’s easy to get startled or twitch, and the first thing that’s going to happen is pulling the trigger. It’s just instinct. So as Blaine showed in the video, keep your finger on the frame of the gun until you’re in place and ready to shoot. I’ll see you at Range Day! 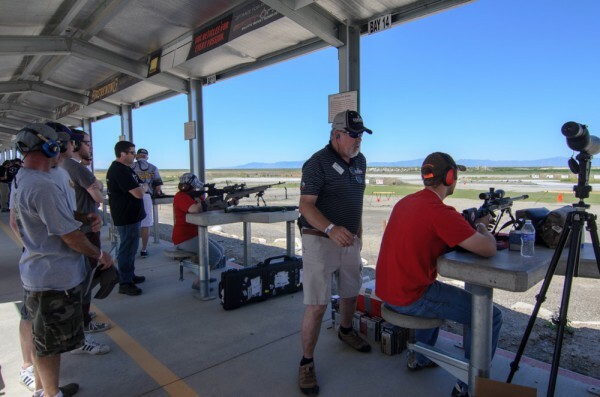 Every lane at Range Day will have a gun for you to shoot as well as a Smith & Edwards or manufacturer representative to help you load the gun and shoot it safely. We’re here to help you have a good time! Get your Ammo Pass here or at the Gun Counter at Smith & Edwards. Please subscribe to our YouTube channel, and join our email list here. Mike Vause challenged me to a duel the other day…. He’d already bought the ammo, so I said OK! We went to the Perry Three Mile Creek Range and squared off at the dueling tree. I didn’t know Mike would show up wearing a GoPro… you’ve got to take a look at it from his perspective! The dueling tree’s designed for two shooters to swing the targets to the other side. If you’ve hit all of yours, your opponent can swing them back to you! Best of all, the Dueling Tree’s made out of good steel so it’s not just restricted to rimfire. Wahooo! Both of us shot Springfield guns. I gotta tell you, I love these guns – I’m 5’2 with not a lot of grip strength, and I can rack the slide very easily. I also like the grip safety, it makes sure I’ve got a good proper grip on the gun and makes me feel more secure on it. I shot the Springfield XDM 9mm in 5.25. Mike shot the Springfield XDM 45 in 4.5 with TFX TrueGlo Night Sights. 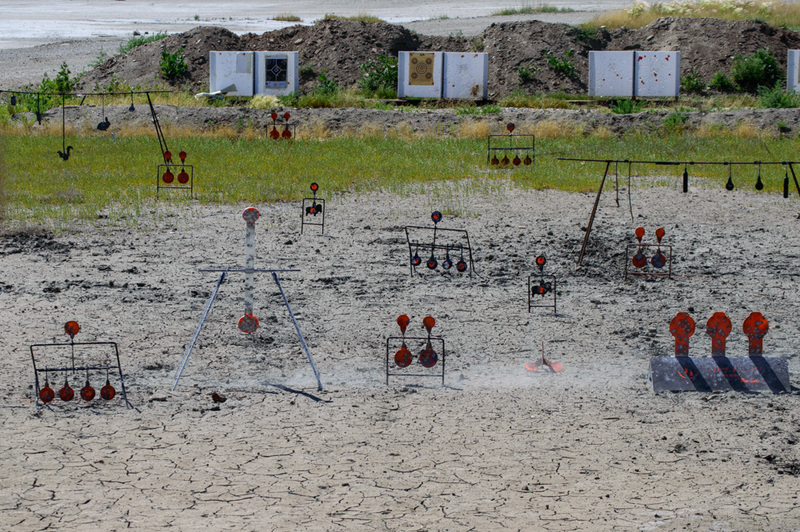 Come try your hand at the dueling tree on Range Day, June 12th 2015, at the Perry Range. See you then! Sporting Goods managers Mike Vause and Chris Jacobson took me out to the Perry Three Mile Creek gun range this month so we could check out some of the Springfields that will be available to shoot at Range Day 2015 on June 12, 2015. Get your ammo pass today for Range Day 2015 at the Sporting Goods counter, or online! You’re already on our email list, right? Look at how awesome you are! Thanks to our sponsors! Thanks to them, we will have a gun on every lane of the Perry City Three Mile Creek Range. We’ll have a dueling tree and I’ll tell you about a little COMPETITION we’ll have going when we get closer to the event. How does it work at Range Day? 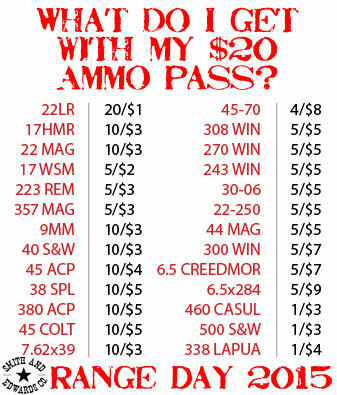 Buy an ammo punch-pass for $20. 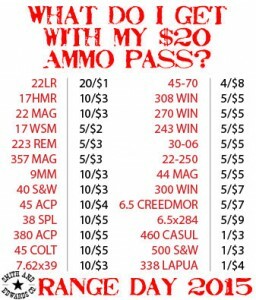 (Available week of May 18) Then, shoot any caliber you like! This event will run 11-7pm on Friday, June 12th. We’ll have the entire range to ourselves, with support from the Three Mile Creek rangemasters. Plus the Northern Wasatch chapter of The Well Armed Woman will provide refreshments. Be sure you’re on our email list to get all the details! Visit & bookmark the Official Range Day 2015 page for more videos & details as we get closer to the event. 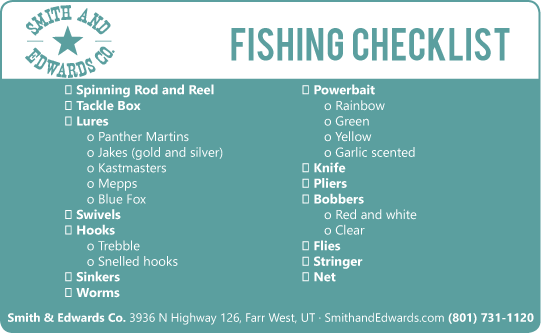 Whether you’re hiking, camping, fishing, or even sending your Cub Scout off to camp for a couple days, this checklist has everything you need to make it a great adventure here in Utah or in the mountains or lakes of our neighboring states. If you’re sending a scout, remember his uniform, too! Click here to download a printable PDF of both lists. Did you have fun? Make sure and send us pictures for the Bragging Board! 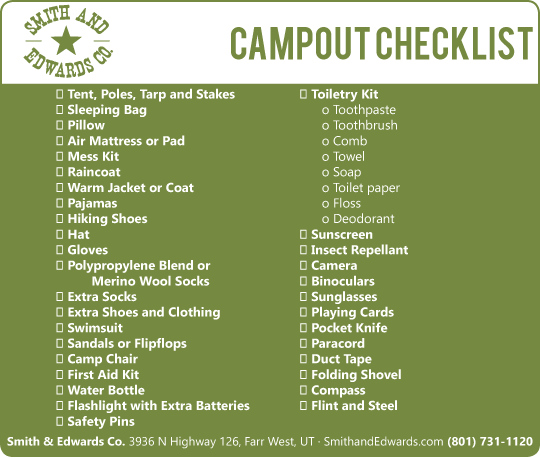 These lists were made after we had lots of families looking for a Scout camp checklist for their boys about to go to camp. We find them useful as a camping checklist so we’re sure we’ve got the car packed with all the gear we need. These also work great for packing your gear even for a fishing getaway on a Friday afternoon! There certainly has been a trend to buying small concealable pistols and revolvers. 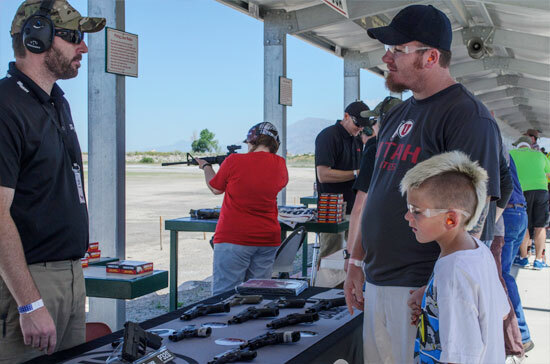 Many new shooters are inclined to buy the smallest size, but may not take into account ease of operation and recoil control. Small guns can sometimes have the opposite of bold, high visibility sights; they can also produce more recoil than we expect. I personally like mid to larger handguns for that reason. The American Public has, for the last few years, been buying a huge number of 380 ACP pistols. Some have loved their purchases, but I have personally seen a good number gravitate back to a larger pistol or even give up on the perfect pocket gun quest. I vowed that I did not need another caliber to support; nor did I want a pistol that was not easy to shoot and find the target. I have struggled to find something small enough for everyday carry that would give me the accuracy standard I need. I’ll tell you what I think is a little bit of a funny story. At the 2014 S.H.O.T. 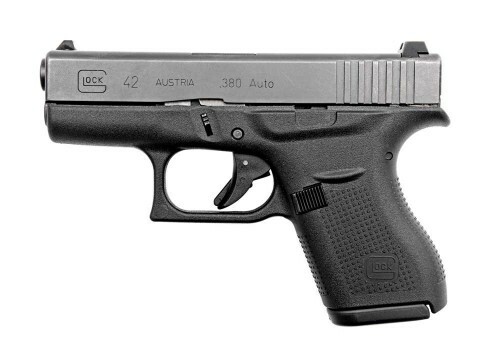 Show – the big kickoff for the gun industry’s new products – Glock introduced two new pistols. The model 41, a big long barrel target 45ACP with a new thinner slide, and the model 42 a very small pistol in 380 ACP were introduced. My friend Scott was very impressed by the 380 subcompact gun and vowed to buy the first one that came into Smith & Edwards. I gravitated to the bigger 45 and made the same vow. Well, not too long after that, we received one of each at the store. Scott kept his promise and bought it that day. It was like Christmas all over again. I hurried off and was soon ready for the test. Right off, I shot two 5 shot groups at about 10 yards. The little Glock 42 was smooth and the groups were tighter than I thought possible from a gun this small. The sights were easy to pick up and the recoil was minimal with no abrasion or discomfort. I went on to shooting my bigger guns. They were ok, but I thought, Man, I think the little Glock is way easier to shoot acceptable groups. I know that I was only supposed to put 10 rounds down range with the free ammo, but I couldn’t stop. I shot 10 more rounds and was amazed by how the little gun handled. This happened a couple more times and when I looked down, the box was very near empty. I was convinced that I had to have a Glock 42. I returned the gun to my friend, and bought one for myself (I did buy him another box of ammo to remain friends). I have included some average 5 shot 10 yard groups. These were shot off hand with no support. The target dot is 1.5″ in diameter. I also have included an amazing 5 shot group that I would be proud of with any pistol. I am sure many could out-shoot this pistol if we went to the 25 yard line. I am not saying that this is a target gun. 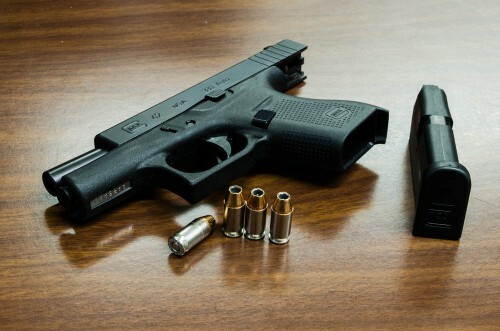 I am saying that I have not been able to shoot a gun this small anywhere close to as well as this little Glock. The controls and trigger pull are just like their bigger guns; so if you shoot a Glock well, you will really appreciate the model 42. Come on, give the 380 a chance. Click here to see the Glock 42 or come visit it in-store at Smith & Edwards Gun Counter. Note from Rose: Mike was generous enough to let me shoot his Glock 42 at the Perry range. 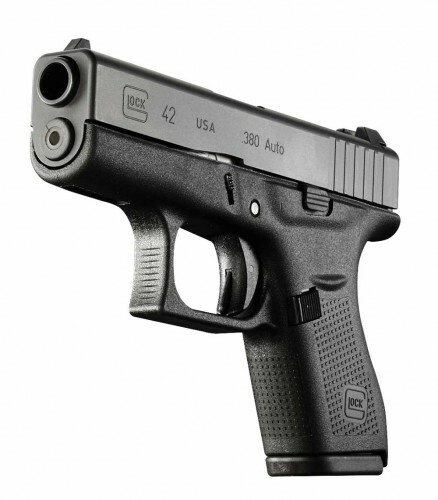 This is a really nice gun and a great option for concealed carry. I liked the trigger pull, the size and grip were perfect, and I liked the fact that it stays open after you fire the last round. The sights make this handgun a lot better to aim than your typical .380 concealed carry, and it doesn’t kick like a Ruger LCP or others. Thanks, Mike! Like the review? Should we do more of these? Leave a comment (or come into the store) & let us know! 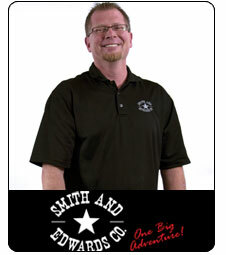 Mike Vause is the Sporting Goods manager at Smith & Edwards. He’s been here over 20 years. When he’s not in the store, he’s probably hiking, camping, or testing the latest handgun or rifle. Have questions about guns, hunting gear, or reloading equipment? Call the store at 801-731-1120 and ask Sporting Goods, we’ll be happy to help you get the gear you need. The spring is the perfect time to plan your hiking and camping, and you couldn’t ask for a better location than Utah. Take a week to enjoy the natural surroundings in comfort. Or, take off on a Friday afternoon and get away for a weekend with the family on your favorite hiking trails. 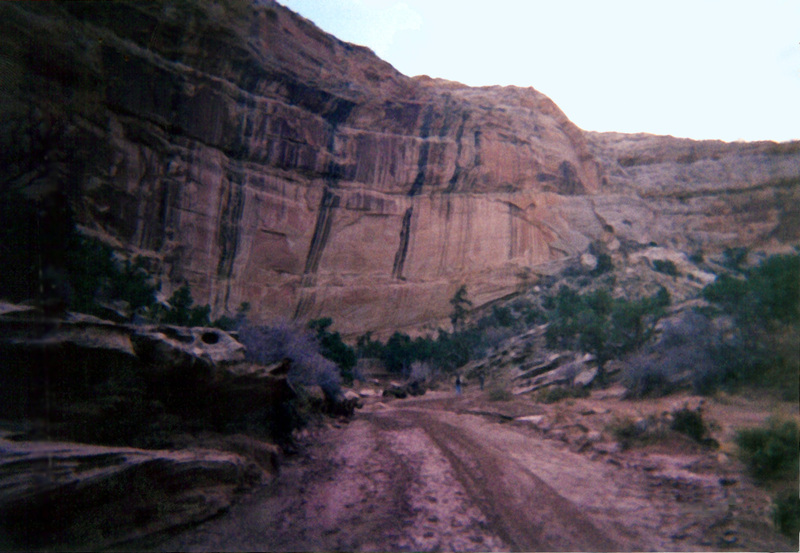 Utah is rich with outdoor hiking opportunities. 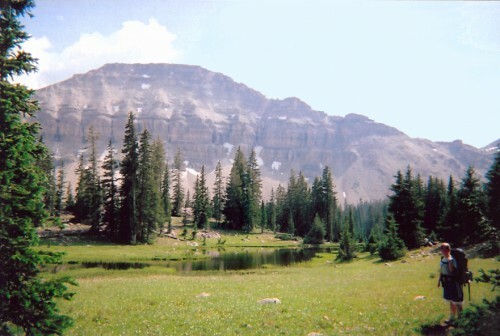 I love the Uinta mountains. The Desert Canyons of San Rafael Swell are also a good hike. Even our own humble Ben Lomond peak. My nephew on the peak of Ben Lomond. Over his right shoulder you can see Willard Bay. 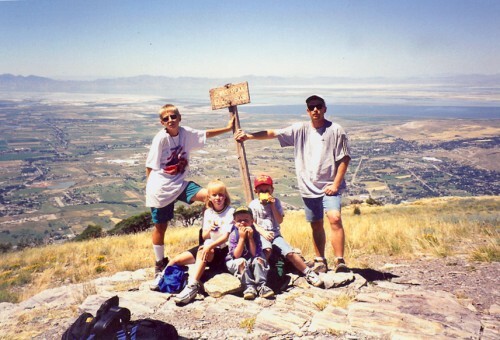 Climb a peak! It will change how you look at things. We have beautiful peaks in Utah. 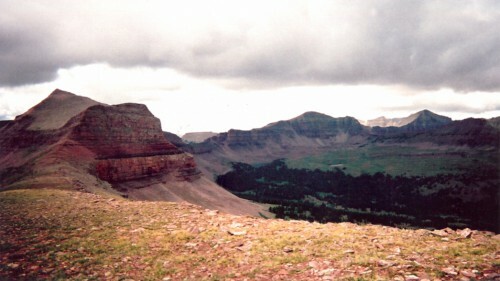 I like the view from Lewis Peak on the other side of the divide. 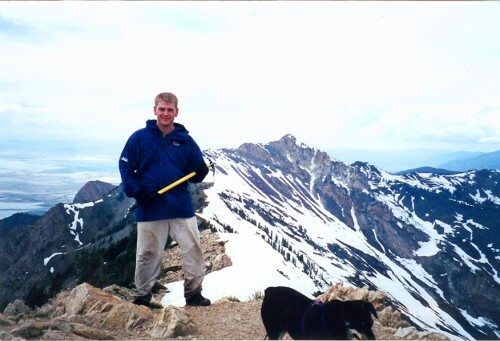 Utah’s tallest is Kings Peak – that’s an amazing summit right there. For camping, I like the Logan Canyon area. There are still some fun spots at North Fork. I love being in the Uinta mountains – there are many fun places up there you can hike to. 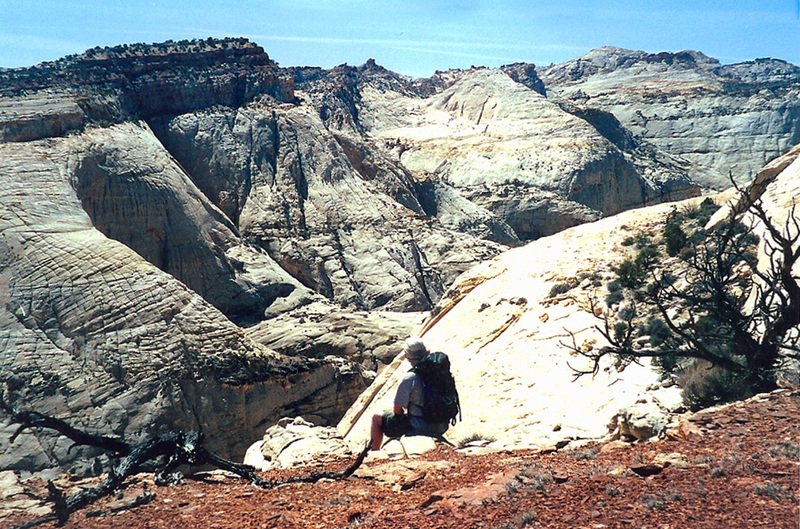 Now is the time to prepare a great backpack trip or day hike. Be ready now so you can grab your gear and go when the weather is right. Kelty day packs lasted my kids from 2nd grade through to my 20-year-old on his mission in the islands of the Pacific. When you’re looking for hiking packs, you can’t go wrong with one from Mountainsmith, Kelty, or Jansport. These hiking packs will hold all your gear comfortably – and you won’t lose sight of your family in these bright colors, either. Rather than trying to haul in your own water, you’ll want a water purification system: either a pump or a gravity system. 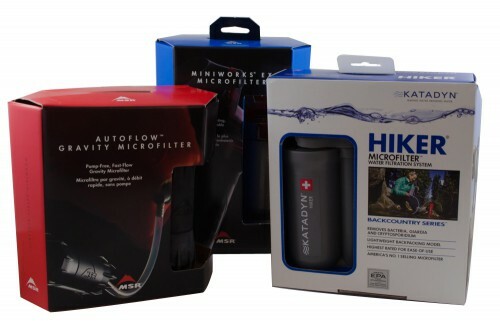 Some good purifying pump systems are the Katadyn Hiker, and the MSR Miniworks Ex Microfilter. 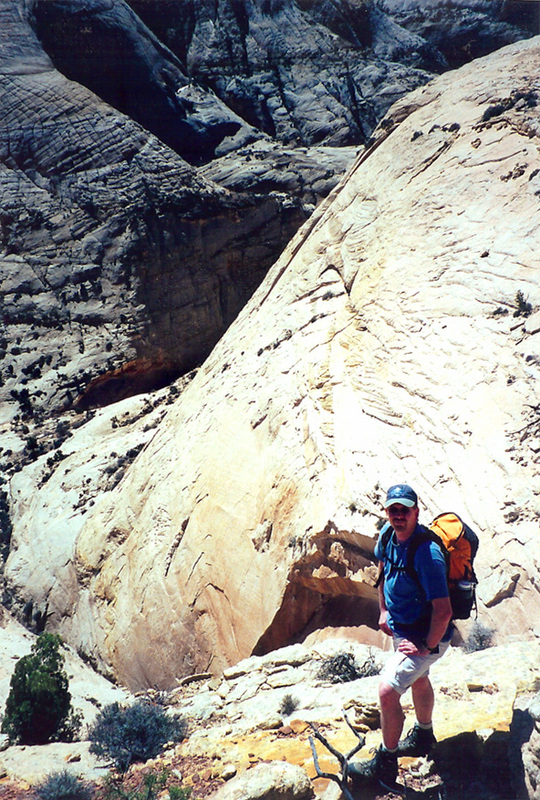 Water Purification pumps are great – but gravity-style purification rocks. I love the Katadyne Base Camp system, where you draw a huge bag through the water, hang it up in camp, and then release water from it as you need it. And because of the gravity, you don’t need to pump it. MSR makes their own Autoflow Gravity Micro Filter which is the same concept. It’s a bit faster than the Base Camp, but it clogs easier. You can field clean the MSR filter easily by running water through the other direction. The Katadyne Base Camp uses the same filters as other Katadyne systems. A lot of these purification systems have adapters that go right on your Nalgene bottle, reducing spillage. Waterproof boots are a must! Danner and Merrell are good waterproof brands, and Merino wool or polypropylene blend socks complete the package. Here are a couple good shoes: Danner 453 GTX in brown, and Merrell Moab Gore-Tex Mid with Vibram soles. 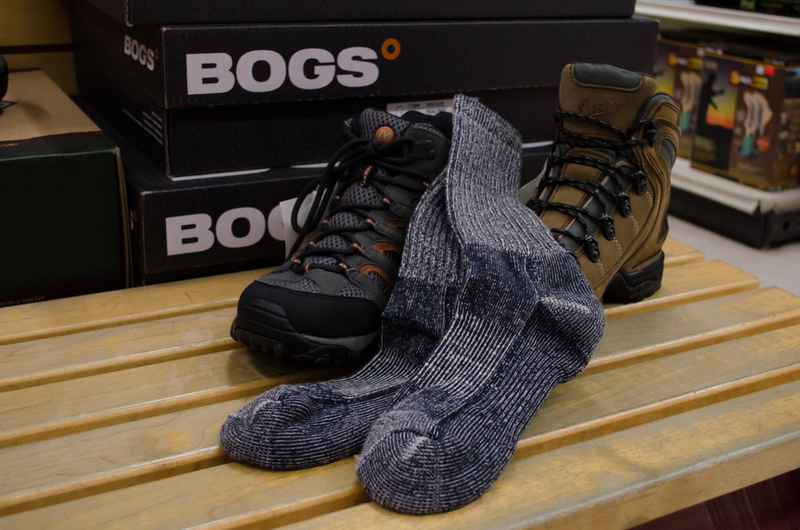 Merrell or Danner hiking boots and Merino wool socks will keep your feet dry on a Utah hike. Don’t forget your hat and sunscreen! Staying overnight? 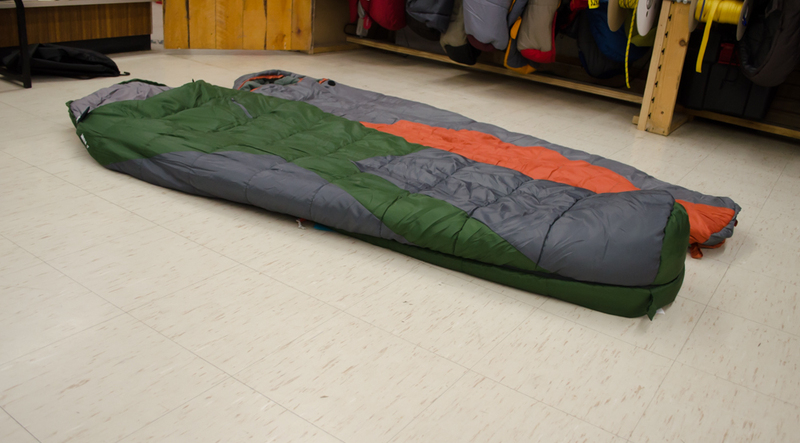 Think about a Slumberjack sleeping bag. There are a lot of options out there, I like Slumberjack and Kelty. Always take a pad; good rest is important. 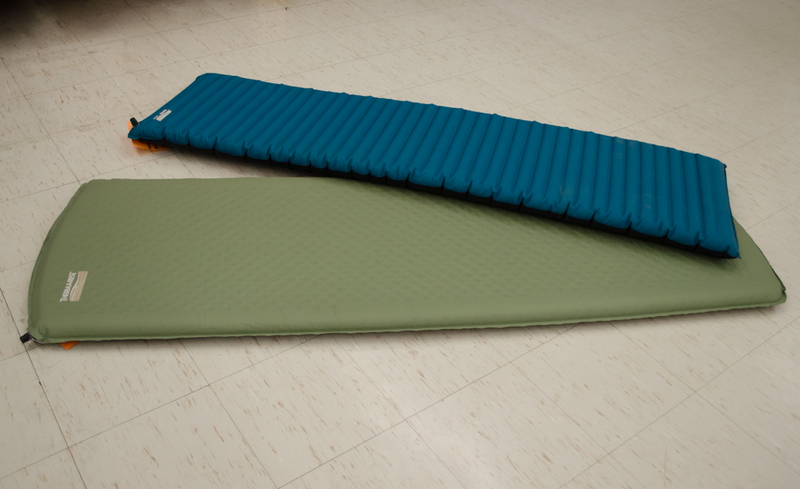 These inflatable pads are by ThermaRest, and we have several online you can check out. 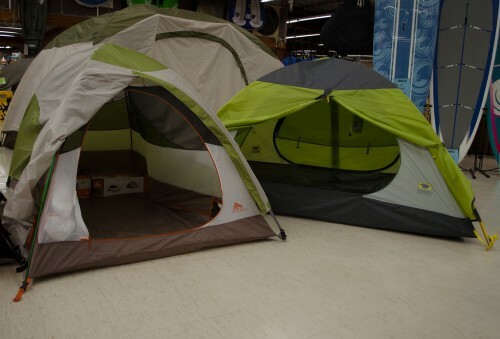 I have a Kelty tent with 15 years of use, and we sell other great brands as well. The Kelty Grand Mesa and Mountainsmith Morrison 2-Person 3-Season tents are great for camping in Utah. Click here to see tents online, and we have even more in-store. Get your kids out; give them a love of the outdoors when they are young, and they will carry your heavy stuff when you are older. Trust me, it works. You’ll get something started that they won’t be able to put down. 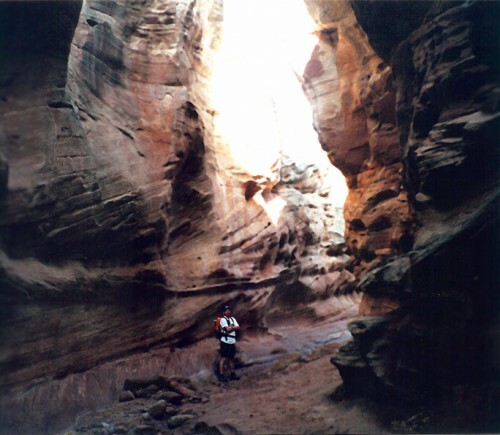 What are your favorite hiking and camping spots? Leave a comment and let us know! 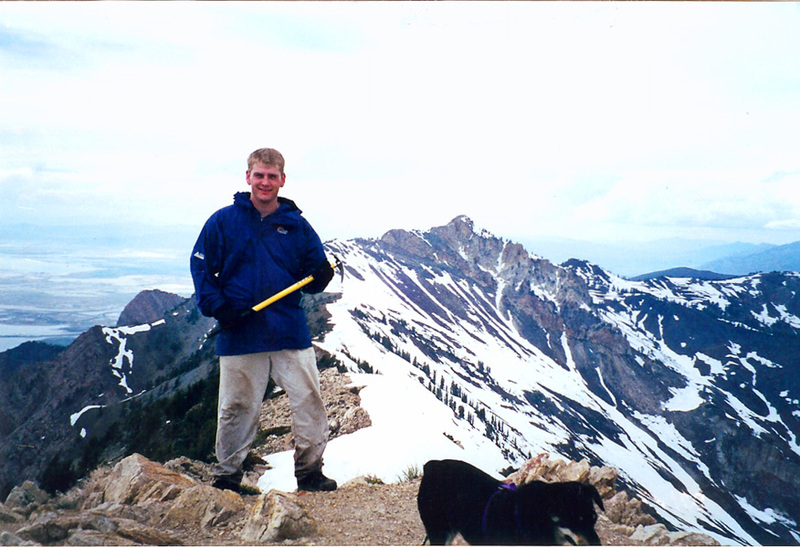 Have Camping or Hiking questions? Call the store at 801-731-1120 and ask Sporting Goods, we’ll be happy to help you get the gear you need.